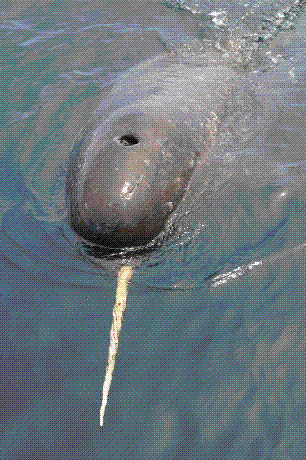 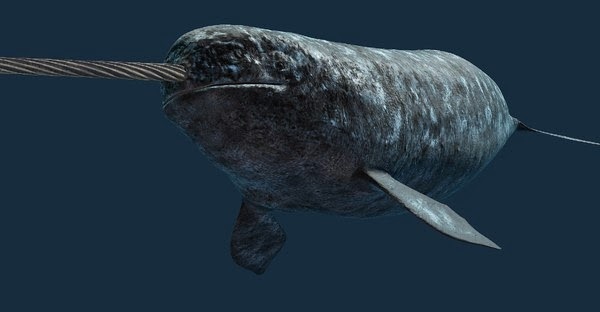 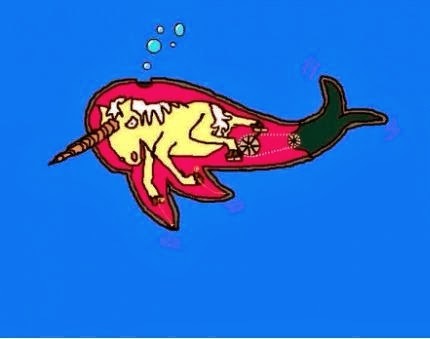 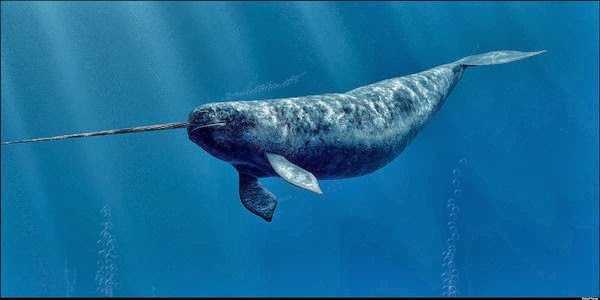 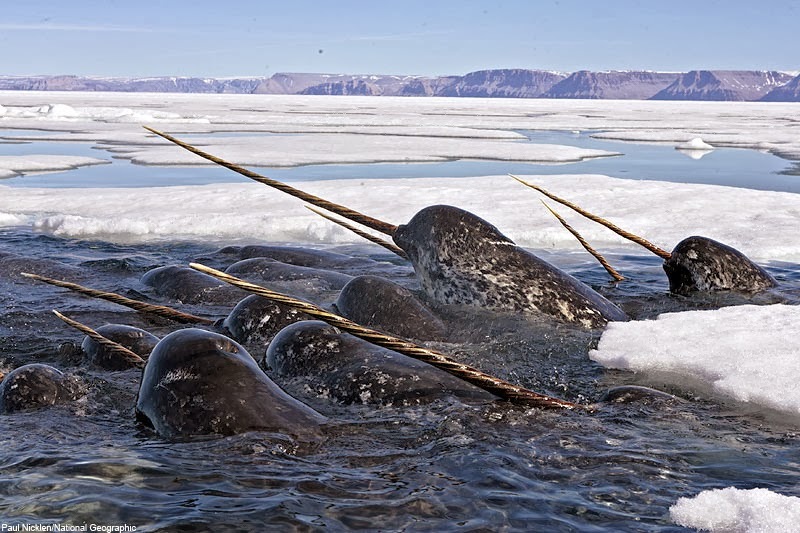 The narwhal, or narwhale (Monodon monoceros), is a medium-sized toothed whale that lives year-round in the Arctic. 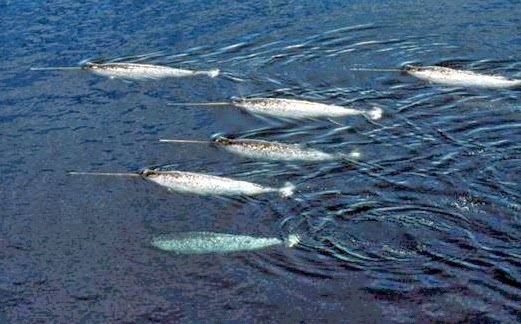 One of two living species of whale in the Monodontidae family, along with the beluga whale, narwhal males are distinguished by a long, straight, helical tusk, actually an elongated upper left canine. 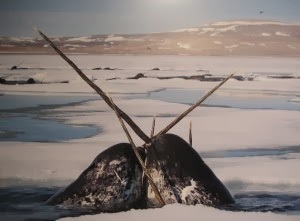 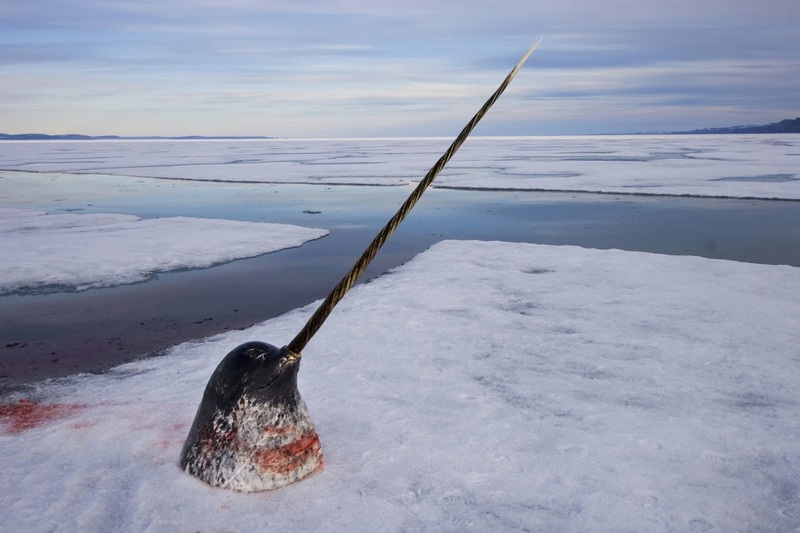 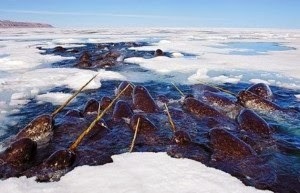 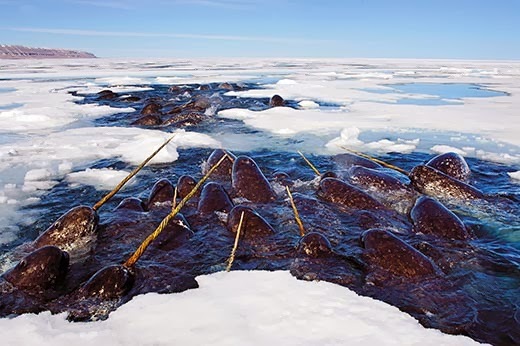 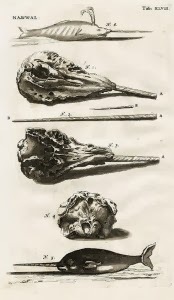 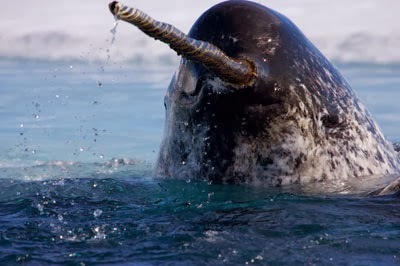 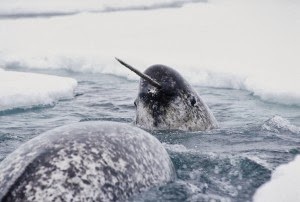 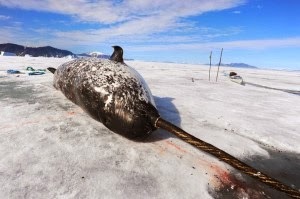 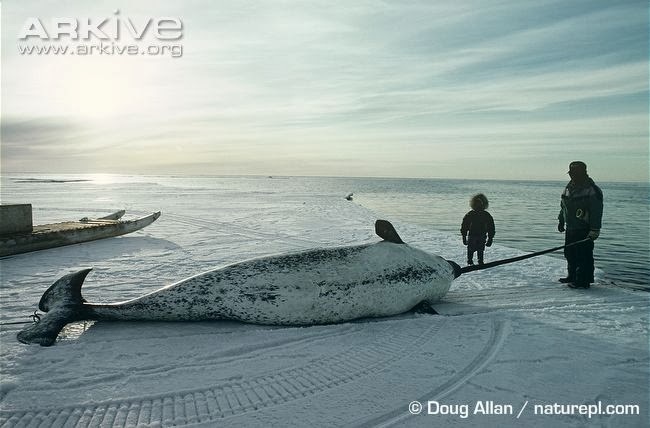 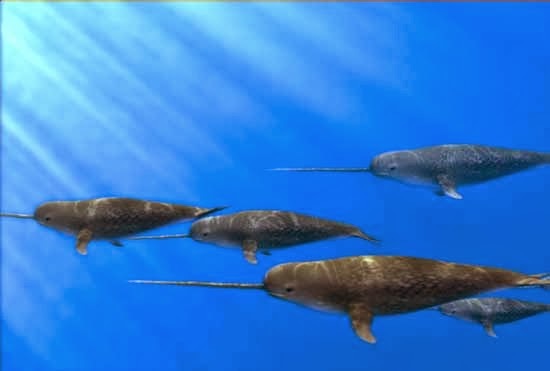 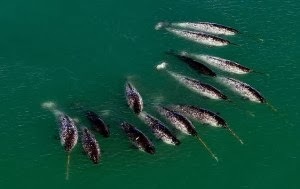 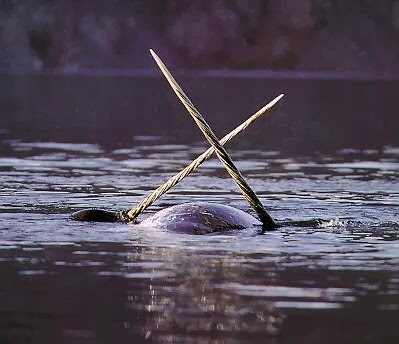 Narwhals have been harvested for over a thousand years by Inuit people in northern Canada and Greenland for meat and ivory, and a regulated subsistence hunt continues to this day. 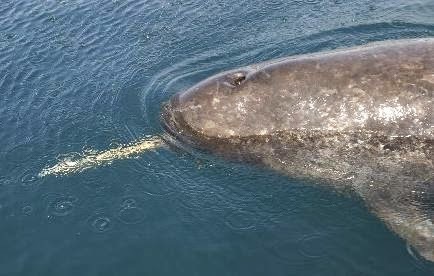 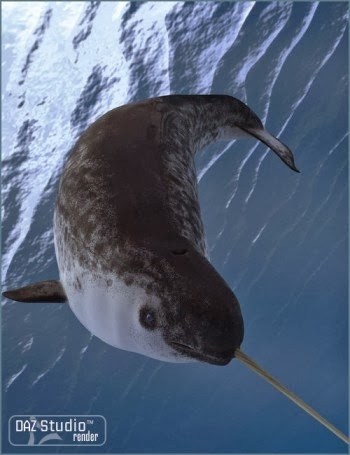 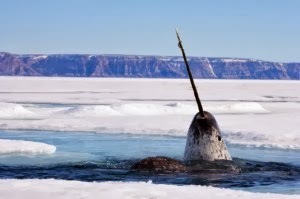 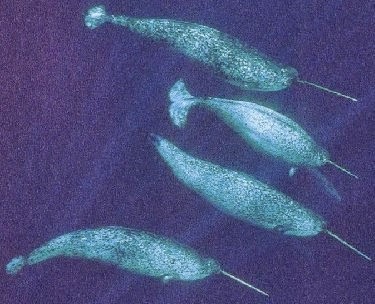 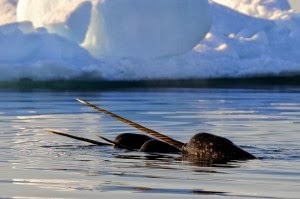 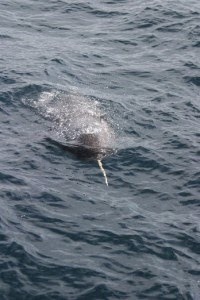 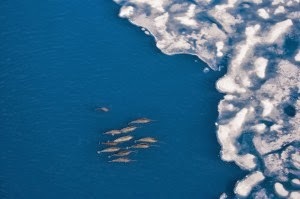 While populations appear stable, the narwhal is particularly vulnerable to climate change due to a narrow geographical range and specialized diet. 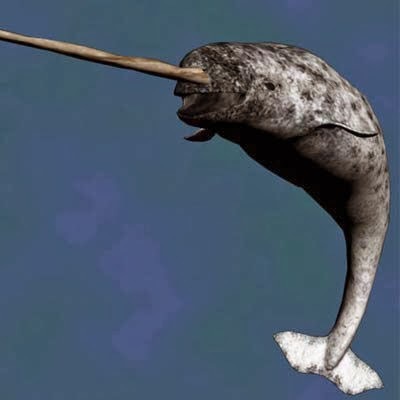 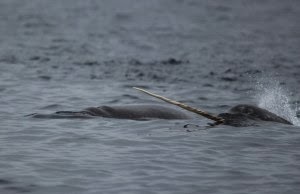 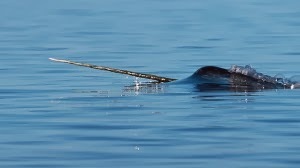 The most conspicuous characteristic of the male narwhal is its single extremely long tusk, a canine tooth that projects from the left side of the upper jaw, through the lip and forms a left-handed helix. 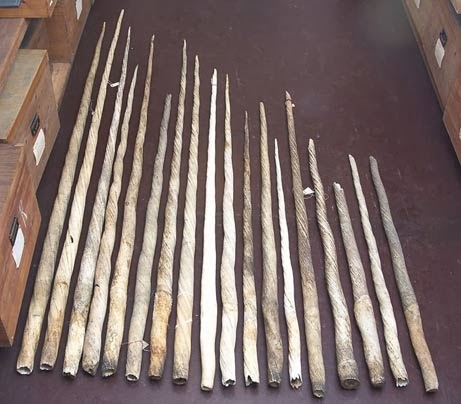 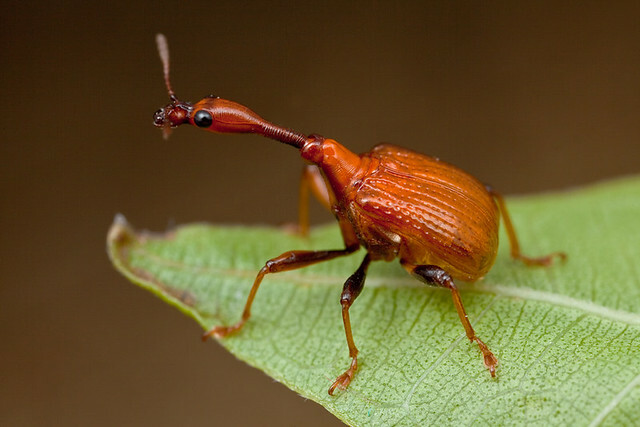 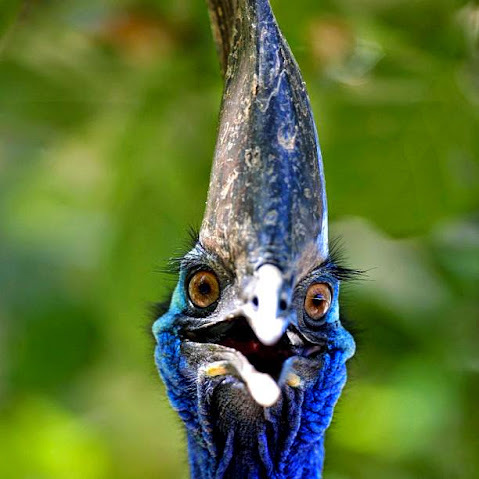 The tusk grows throughout life reaching lengths from 1.5 to 3.1 m (4 ft 11 in to 10 ft 2 in). 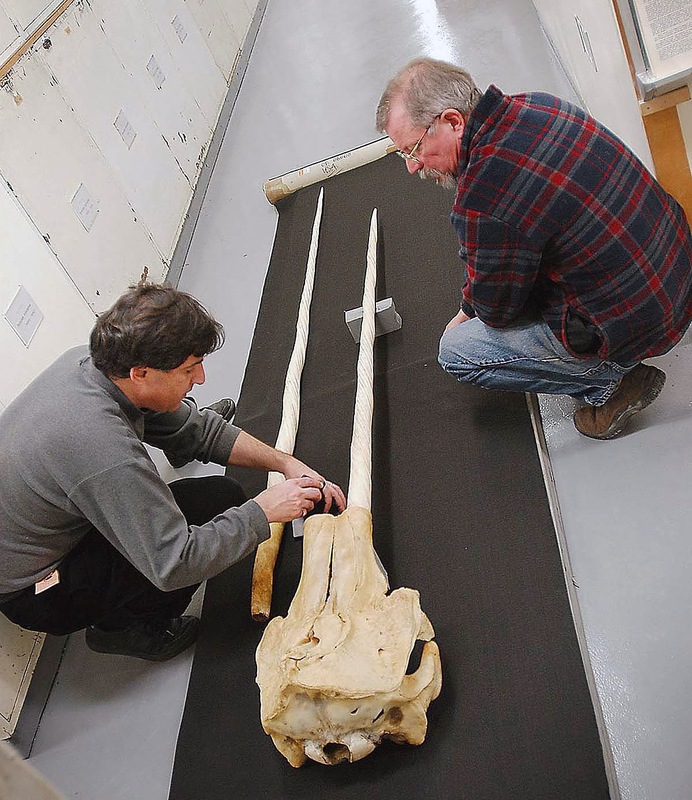 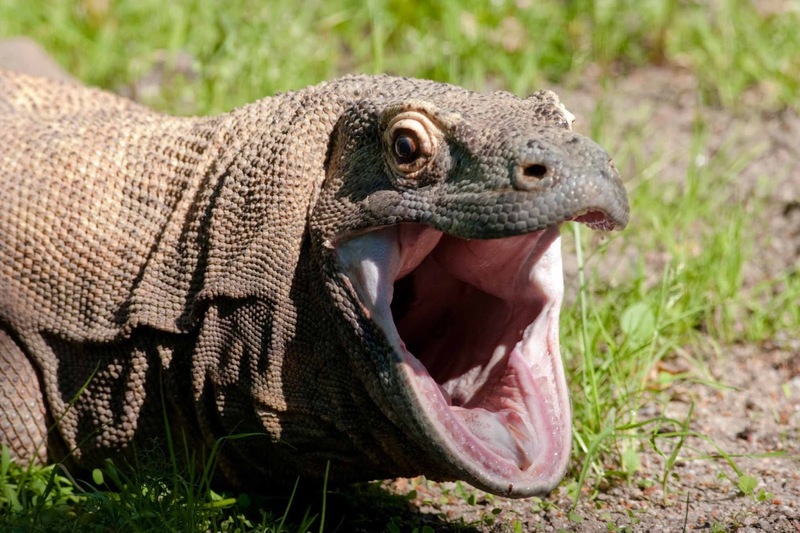 Despite its formidable appearance, the tusk is hollow and weighs only around 10 kg (22 lb). 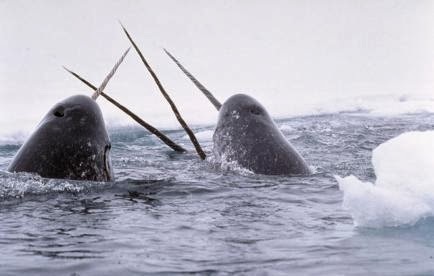 About one in 500 males has two tusks, which occurs when the right canine, normally small and less straight, also grows out through the lip.